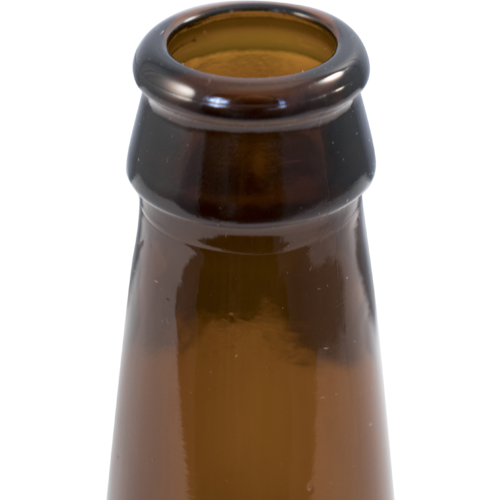 Traditional 12 oz longneck beer bottles that take standard crown caps (26 mm). 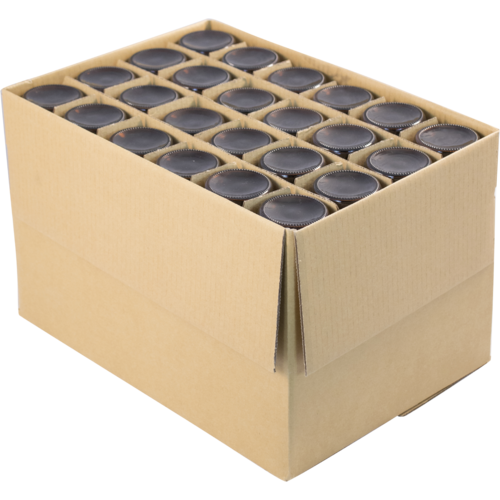 24 bottles per case, with dividers. These bottles are thicker and darker than most other bottles, offering better protection against UV rays and preventing your beer from becoming lightstruck. These bottles are used by the likes of Stone, Drakes and even the big guys like Anheuser Busch. The displacement caused by a 3/8" bottle filler (B411) leaves the perfect amount of headspace in your bottle. 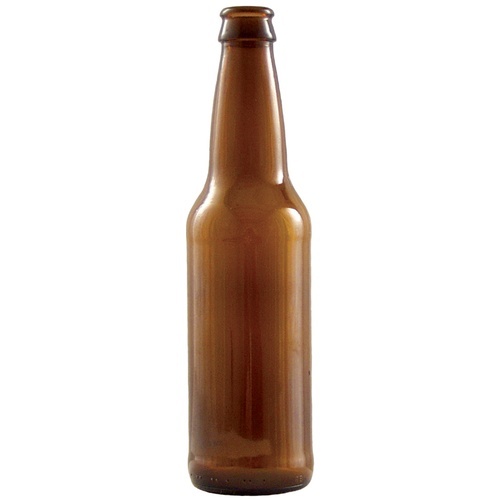 Two cases of this classic beer bottle will house a standard 5 gallon batch of homebrew. Fits all standard (26 mm) pry-off and universal style crown caps. Don't forget your bottle caps. We stock over 10 different colors and styles of crown caps! Skip labelling your bottles by identifying them with colored crown caps. Star San Sanitizer - 4 oz. convenience; i did not like paying shipping, but they are very reasonably priced! Bottles are easier to share and transport than kegs. To compliment the others I have. Clean bottles are great for sharing. Because we need them to bottle the beer. now I will have enough to bottle the holiday beer. 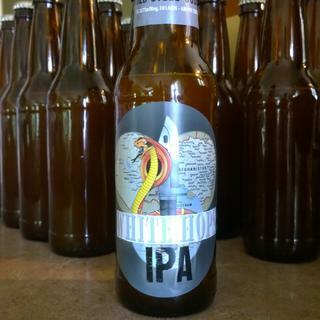 I used to reuse bottles from other brewing companies, but just got tired of scraping labels. This is a much cleaner, faster way. Cheaper price than Northern Brewer. But I wish it qualified for free shipping. I need a few extra bottles. How many volumes of CO2 are these bottles rated for? BEST ANSWER: Hi Jakob - We recommend to avoid exceeding 3.5 volumes for a 12oz bottle. I have no idea, but I can say that I have made naturally yeast fermented ales that are quite fizzy--to the point that just opening the bottle causes foam to erupt slowly and overflow--and the bottles have performed very well. Thats a good question. I believe I tried to find this out once before myself. I think I read somewhere that bottles are typically rated around 4 volumes. You might want to be careful with anything over 3 though. Shipping gets you for these. Bottles are fine but with shipping I paid $22.99 for the case. I can get a case of Sam Adams for $24 and those bottles are full. That said it’s not the product’s fault and I got a lot of stuff shipped so full marks. But yeah I’m going to buy these local from here on. Yep, it’s a brown bottle! It’s just a bottle, what can I say. I will tell you that they ship them in sturdy, divided cardboard boxes that are then boxed in another box with bubble wrap!!!!! High quality bottles. Withstand 4 vol CO2. When you have to bottle, use these! ok, you're right - they are just bottles. But they're good bottles with good boxes and dividers; Arrived intact, keep a seal and keep out light. Duh. The bottles are just pour-fect for my creations! Thanks again. Great bottles. What else can I say? Great thick bottles. Capped perfect. One survived a fall out of the truck on concrete! Good seal with cap, filled perfectly using bottle filler. Your standard beer bottles. Pretty easy to clean with the bottle brush and some bleach. I recommend washing the bottles immediately after they're emptied though -- the yeast sticks to the bottom after a short time unwashed and empty.